Behind Dennis Smith Jr.’s 2nd career triple-double (1st of the season) with 13 points (5-12 FG), 10 rebounds and a career-high 15 assists, the Mavericks defeated the Knicks tonight at Madison Square Garden by a final score of 114-90. Smith, Jr. is the second-youngest player with a triple-double at Madison Square Garden (21 years and 66 days old). The youngest is Magic Johnson, who did so at 20 years and 175 days old on February 5, 1980. Dirk Nowitzki also added a season-high 14 points (5-7 FG, 2-3 3pt FG) in the victory. Kevin Knox led the Knicks with a team-high 17 points (6-16 FG), to go with 5 rebounds in the losing effort. 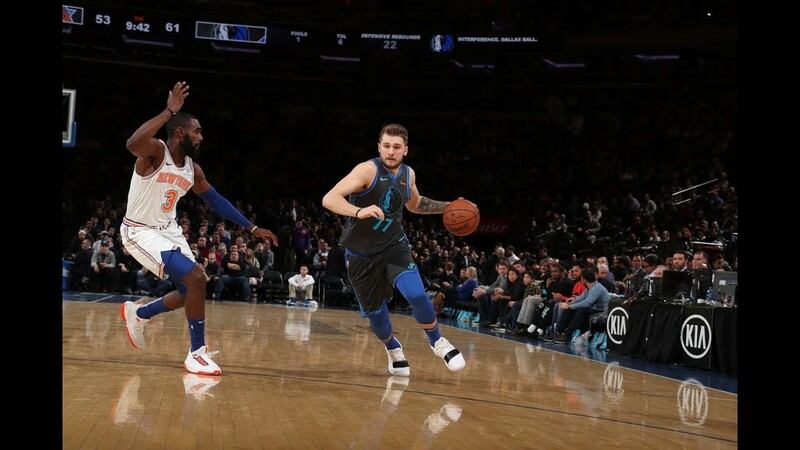 The Mavericks shot 53.6% (45-84) as a team while dishing out a season-high tying 31 assists as they improve to 23-27, while the Knicks fall to 10-40 on the season.